It’s hard to watch your favorite series end, however, every TV series must come to an end eventually. From home improvement favorites, like Fixer Upper, to critically acclaimed favorites, like Veep and Scandal, 2018 is the year several of our favorite shows are coming to an end. Make sure your tv is in good working order because you won’t want to miss these series finales. Scandal is a political thriller series starring Kerry Washington as Olivia Pope. Olivia Pope is the former media consultant to the president who opens a crisis-management firm. However, she can’t break ties with her past. The show focuses on the team at Olivia Pope & Associates (OPA) as well as the staff at the White House and the political scene. The first season focuses on the lives of the team members, the relationship between Olivia and the President (her former employer), and the mystery surrounding Amanda Tanner’s involvement with the White House. The seventh, and final, season premiered in October 2017 and will conclude on April 19, 2018. The final series will focus on Olivia Pope as the new Chief of Staff to President Mellie Grant and the Commander of B613. Scandal has received many awards including Television Program of the Year by the American Film Institute, The Peabody Award for Excellence in Television, and Outstanding Drama Series at the Image Awards. The series was nominated for 6 Primetime Emmy Awards, with two wins. It has also been featured at the Golden Globe Awards, the TV Guide Awards, the People Choice Awards, and the SAG Awards among others. 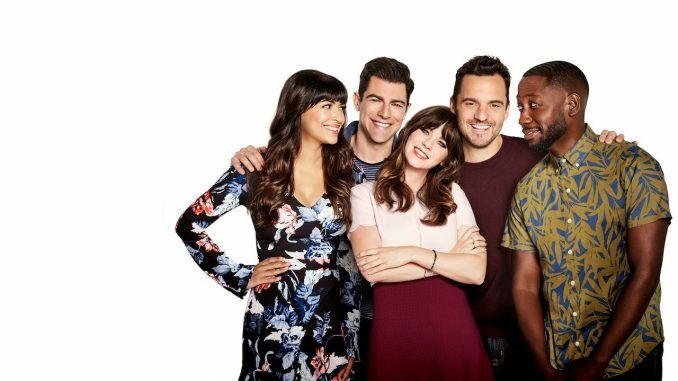 New Girl is Fox’s longest-running live-action comedy series. The show follows Jessica Day (Zooey Deschanel), a quirky teacher who moves in with three men after breaking up with her boyfriend. The series follows the characters as they navigate their thirties, deal with maturing relationships, and go through career changes. The final series of the show will be 8 episodes long and start after a three-year time jump. Jess and Nick have been dating for three years, Cece and Schmidt are married and planning their three-year-old daughters feminist birthday party, and Winston and Aly are married and expecting their first child. The final series serves as an epilogue for the long-running series. New Girl was considered one of the best new comedies of the 2011 fall season. It has been nominated for several awards including 5 Golden Globe Awards, 5 Primetime Emmy Awards, and various other Critics Choice Awards and People’s Choice Awards. The final season premiered on April 10, 2018, and will conclude on May 15, 2018. Fixer Upper is a reality television series starring Chip and Joanna Gaines. An HGTV staple, the series focuses on the couple flipping houses in Waco, Texas. Every episode, the couple shows three potential homes for purchase, each requiring various amounts of repair and renovation. When the couple chooses their home, Joanna designs it while Chip is the lead contractor. In September 2015, the couple announced that the shows fifth season would be it’s last. The final season premiered on November 21, 2017, and concluded in March 2018. The couple is going on to host a spin-off series called Fixer Upper: Behind the Design. The show premiered in April and showcases how Joanna comes up with the designs seen on Fixer Upper. Portlandia, was created by former SNL cast member Fred Armisen and guitarist Carry Brownstein. The show was created after their internet sketch-comedy duo, ThunderAnt, cracked up audiences. Debuted in 2011, Portlandia takes place in Portland, Oregon. The series gently pokes fun at the laid-back city and its many eccentric characters. Among the many recurring guest stars on the series are Ed Begley Jr., Jeff Goldblum, Natasha Lyonne, Kumail Nanjiani and Kyle MacLachlan, who plays Portlandia’s mayor. The series was renewed for an eighth and final season in 2017 that concluded on March 22, 2018. Portlandia won a Peabody Award in 2011 “for its good-natured lampooning of hipster culture, which hits the mark whether or not you’re in on the joke.” The series also won an Emmy Award in 2011 and has been nominated for Primetime Emmys, Online Film & Television Association Awards, Art Directors Guild Awards, and a Critics’ Choice Television Award. House of Cards, is a political thriller series that debuted on Netflix in 2013. The series is an adaptation of the novel House of Cards by Michael Dobbs. The story is set in Washington, D.C., and follows Congressman Frank Underwood. After being passed over for Secretary of State, Underwood begins an elaborate plan to attain power. After allegations were made against the show’s star, Kevin Spacey, Netflix cut ties with the actor and stated the sixth season would be the final season. The eight-episode sixth season started production in early 2018 without Spacey’s involvement and will air in late 2018. House of Cards has received numerous positive reviews and award nominations including 46 Primetime Emmy nominations and 7 Emmy Wins. It is the first original online-only web series to receive major Emmy nominations. The show also earned eight Golden Globe nominations. Nashville is a musical drama that chronicles the lives of various fictitious country music singers in Nashville, Tennessee. The show stars Connie Britton as Rayana Jaymes, a country music superstar whose stardom has begun to fade, and Hayden Panettiere as rising, younger star, Juliette Barnes. The series premiered on ABC in 2012, but was canceled by ABE in 2016 after 4 seasons. CMT picked it up for its final two seasons with new producers, writers, and showrunners. After Rayna was killed off in season 5, the last season will focus on Juliette’s music career. However, this may be hindered by the fact that she’s with a cult in Bolivia with no intentions of coming back. The final season debuted on January 4th, 2018 and the series finale is due to air on July 26, 2018. Nashville has been nominated for various awards including several Critics’ Choice Television Awards, People’s Choice Awards, Golden Globe Awards, and a Primetime Emmy Award.